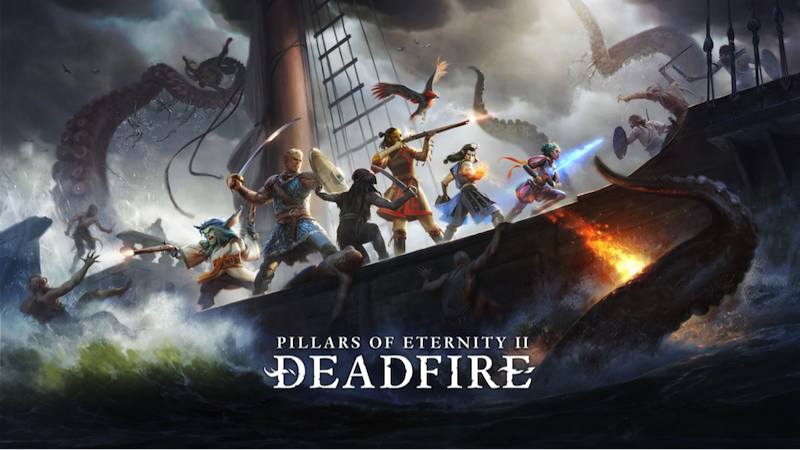 Baltimore - MD — April 11th 2019 – Independent games publisher Versus Evil and developer Obsidian Entertainment today announced that Pillars of Eternity II: Deadfire has been nominated for Best Adventure game and Best Writing categories in the 23rd Annual Webby Awards. Hailed as the “Internet’s Highest Honor” by The New York Times, The Webby Awards, presented by the International Academy of Digital Arts and Sciences (IADAS), is the leading international awards organization honoring excellence on the Internet. IADAS, which nominates and selects The Webby Award Winners, is comprised of Internet industry experts including Internet inventor Vint Cerf, Instagram’s Head of Fashion Partnerships Eva Chen, Director of Harvard’s Berkman Center for Internet & Society Susan P. Crawford, actor and activist Jesse Williams, GE CMO Linda Boff, Pod Save the People host and activist DeRay McKesson, Google’s Head of Conversation Design Cathy Pearl, Fortnite Designer Eric Williamson, HBO Digital Chief Diane Tryneski, Los Angeles Laker Isaiah Thomas, and DDB Worldwide CEO Wendy Clark. “Pillars of Eternity II: Deadfire continues to be recognized for the passion and commitment that the Obsidian team has put into creating the ultimate RPG adventure and we couldn't be more proud of their Webby Award nomination,” added Steve Escalante, General Manager for publisher Versus Evil. Versus Evil announces Pillars of Eternity for Switch, reconfirms Into The Dead 2 as well, but what's up with Pillars of Eternity II? BALTIMORE, MD – Feb 27th , 2019 – Independent video game publisher Versus Evil is keeping the indie vibe alive in 2019 with a slew of new titles launching throughout the course of the year. Fresh off the back of award winning titles Banner Saga 3 and Pillars of Eternity II: Deadfire, Versus Evil has already kicked off 2019 with its BAFTA winning multiplayer shooter, At Sundown: Shots in the Dark, now available on PlayStation 4, Xbox One, Steam for PC and Nintendo Switch. Following on from its PC launch in 2018, the critically acclaimed and award winning RPG, Pillars of Eternity II: Deadfire heads to console for PlayStation 4 and Xbox One later this year, complete with a brand new turn based mode. PlayStation and Xbox One players will at long last be able to explore the exotic Deadfire archipelago and experience the classic RPG gameplay and handcrafted adventure which won the hearts of many fantasy RPG players in 2018. Nintendo Switch players will also get a special treat when the original Pillars of Eternity launches on the platform later this year, courtesy of Versus Evil. Versus Evil will soon reveal more on the beautifully animated RPG, Yaga, winner of the Nordic Game Discovery Contest, which tells the tale of Ivan, a one-handed blacksmith cursed with bad luck who must take on a series of impossible tasks from the tzar in this visually stunning Action-RPG inspired by Slavic folktales. Also launching this year, a new game from Gambrinous, the team that brought Guild of Dugneoneering, Cardpocalypse follows 10-year old Jess as she starts at a new school where all the kids are collecting and playing the Mega Mutant Power Pets card game. Set in the 1990’s, Cardpocalypse is a single-player card game where you change the cards and the rules as you play, delivered within a charming school-based narrative. Hitchhiker from Berlin-based indie developer Mad About Pandas is another beautifully realized title launching this winter. Described as thought-provoking, spooky, and compulsively entertaining,Hitchhiker propels the player through five different philosophical road trips in which they must piece together clues to solve a mystery. Winner of the Intel Buzz Workshop Developer Award and Game Connection Best Story Award in 2018, Hitchhiker combines beautiful atmospherics, narrative-driven storytelling and Film Noir sensibilities to produce a unique interactive experience. Versus Evil has also taken over the publishing duties on the strategy card game Faeria, providing assistance to developer Abrakam in releasing and promoting the game to a more diverse set of online gaming stores, as well as bringing the console version to fruition. Versus Evil will be presenting both Faeria and Faeria’s new DLC pack at GDC. Last but not least, zombie survival game Into The Dead® 2 will be coming to Nintendo Switch. The Into the Dead franchise is finally making its long-awaited debut on console after amassing more than 100 million downloads on mobile. Nintendo Switch players will enjoy PikPok's thrilling gameplay and high quality audio and graphics as they arm themselves with an arsenal of powerful weapons and do whatever it takes to save their family in the zombie apocalypse. A selection of Versus Evil’s slate of 2019 titles will be on show at GDC in San Francisco this March with further opportunities to see more of these titles as they evolve throughout 2019 at events like PAX and Gamescom. It's nice to know that the original Pillars of Eternity is coming to Switch, but what's up with the sequel? As you can see in the press release above, there's no mention of the sequel for Switch. That's a bit strange, as the sequel was confirmed months ago for Switch. Why would it not even be mentioned here unless development has been shelved? We've reached out to Versus Evil for comment on the matter. It's been quite some time since we heard anything about Pillars of Eternity II on Switch, but we now have good news! Obsidian has broken their silence, and the game is set to hit Switch in 2019. 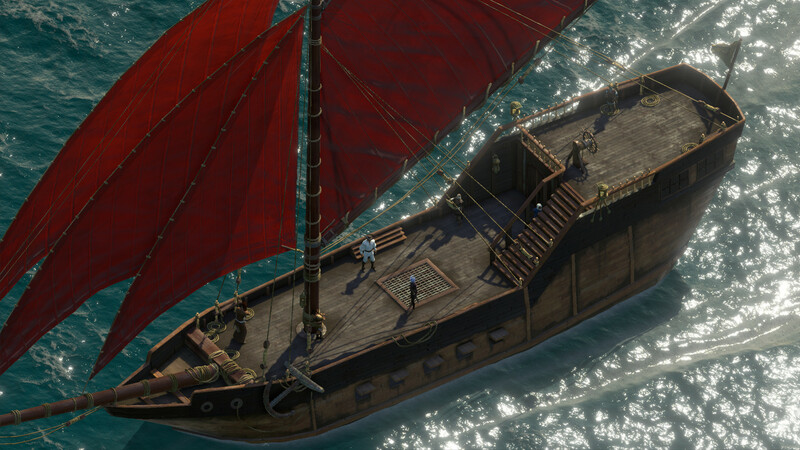 If you read our last update, we promised to have more information regarding Deadfire's console release. As we stated, our partners at Grip Digital have been hard at work, and Deadfire will be releasing on the Xbox One, PlayStation 4, and Nintendo Switch in 2019! We are pleased to also announce that the console edition will ship with all expansions, updates, and free DLC's included at launch! We don't have an exact date for you yet, but as soon as we have one, we will let you know!